China's economy beat forecasts as growth remained steady in the first quarter despite tepid global demand, a US trade war and a debt battle, official data showed Wednesday. The world's second largest economy expanded by 6.4 percent in the January to March period, faster than the 6.3 percent forecast by economists in an AFP poll, according to official gross domestic product figures from the National Bureau of Statistics. The rate is well faster than most nations can dream of and it shows China's economy has steadied after decelerating every quarter of last year. "The national economy enjoyed stable performance with growing positive factors, and stronger market expectation and confidence," said NBS spokesman Mao Shengyong in prepared remarks. Premier Li Keqiang in March laid out a lower growth target for China this year of 6.0-6.5 percent. China's steady unemployment rate dropped to 5.2 percent in March from 5.3 percent in February. Beijing is counting on consumers and renewed investment to stabilise the economy. The latest data showed growth in retail sales for March rising 8.7 percent on-year after stagnating for three months near 15-year lows. But China's imports fell in the first quarter, adding to worries about weak demand. All eyes have been on Beijing's infrastructure spending which expanded 4.4 percent in the first three months after plummeting to 3.8 percent growth last year amid a campaign against debt and financial risk. The broader fixed-asset investment indicator rose 6.3 percent on-year for the first quarter, from 6.1 percent in January-February. Output growth at China's factories and workshops in March shot up 8.5 percent on-year, from 5.3 percent in the first two months, well above forecasts. 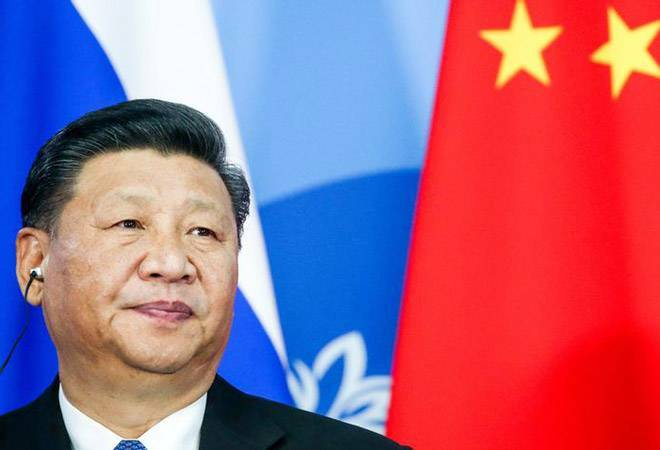 Another drag on the economy, the US-China trade war, appears to be approaching a resolution after nine rounds of high-level talks between American and Chinese officials. The two sides have exchanged tariffs on more than 360 billion in two-way trade, hurting manufacturers in China and farmers in the US. But no date has been set to bring together President Donald Trump and his counterpart Xi Jinping for a deal signing.